The world’s leading portable and demountable cricket net system. 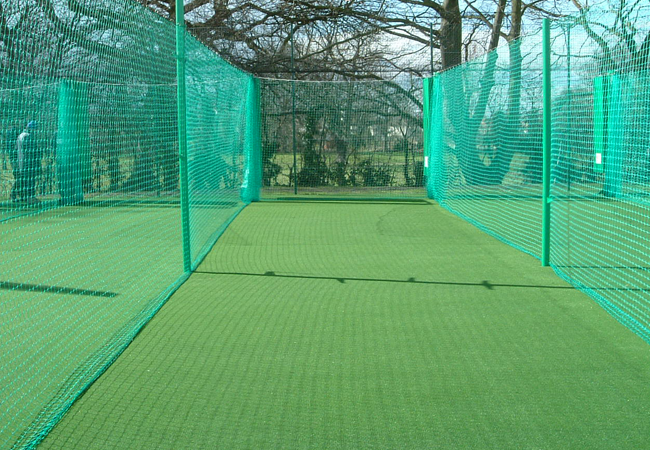 Traditional cricket nets occupy large areas of space which cannot be used for anything else – but there is a cricket net system that enables you to have secure, vandal resistant areas as large as you need. Now you can use the same space for other activities – because the Ezy Cricket Net system is simply retracted when not in use. The Radford Ezy Cricket Net System is incredibly easy to erect and dismantle thus making them very portable and easy to store. We offer a wide range of Cricket Net Solutions which ranges from Indoor Nets for sports halls to Portable Mobile Nets for temporary arenas. High security and vandal resistant boxes mean that the cricket nets are stored safely and are protected from the elements. This keeps them looking new and in better condition much, much longer. Less poles makes the batsman feel less enclosed and minimizes the risk to the bowler and batsmen of ricohets. Cricket is a sport for the adaptable, eccentric and outdoorsy adventurers who look forward to spending long and testy hours on the cricket field, chasing cover driven shots right to the edge of the boundary as if a nuclear device would detonate if the ball crossed the line. So when you try to explain the concept of indoor cricket to an ardent cricketer you are simply waging war on a foreign and sovereign turf. But selling the idea of an indoor cricket net is not all too difficult seeing that all you have to do is wait for the rain or the winter snow to get the lads packing their things and rushing back to the pavilion. The enclosed surroundings of indoor practice nets might feel claustrophobic and lacking of the real feel, but what does that matter if you need to oil your wrists in between rain delays..
At Radford Ezy Net we offer a very versatile winching systems that works on a socketed system, this works excellently on the cricket square or it can be used as “throw down/tap up nets” in the outfield, which can also be used as a “stop net for fielding and bowling drills. These mobile cricket nets are meant for light to medium use and are used from personal use to the First Class arena. Although cricket shares a lot of similarities with the American baseball game, this bat and ball sport is quite unique on its own. In the game of cricket, the batter is required to hit the pitched balls for scoring runs. A game of cricket requires eleven players and each of them have their own specific responsibilities to observe and carry out. Apart from being exciting and fun, cricket is also extremely a great game for improving one’s physical and emotional well-being. This sport is not an easy one to engage in, it calls for true skills; therefore, if your cricket skills aren’t that sharp then you might want to train them by practicing cricket. As mentioned, the ball is bowled and the batter is required to hit the ball therefore the ball can fly in all directions. Needless to say, this makes it extremely difficult to retrieve the ball. 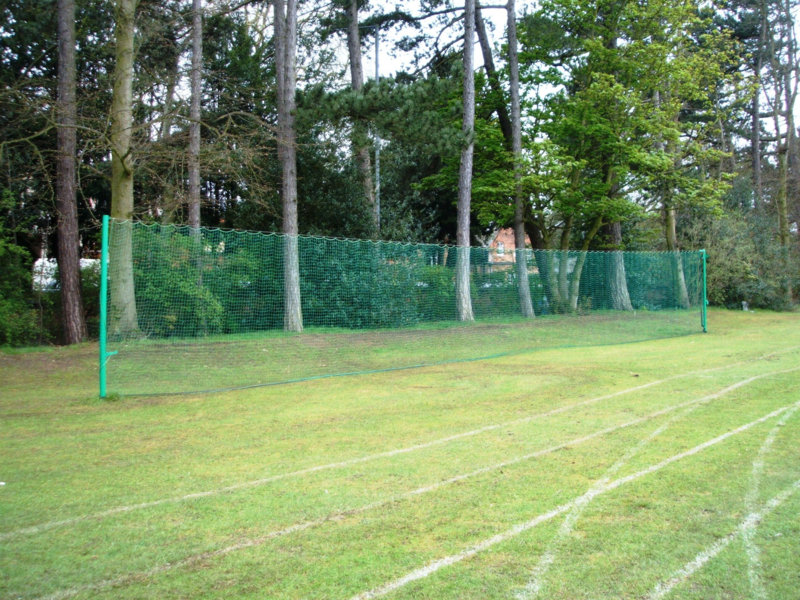 Therefore, in order to prevent the ball from flying away, mobile cricket nets are used on practice grounds. There are plenty of mobile cricket nets for sale available in the market. Our winching system are unique to the cricket market as we can have nets from 5m to 25m long that can be pulled out along a tensioned cable and retracted as quickly – At Radford Ezy Net we offer a very versatile winching systems that works on a socketed system, this works excellently on the cricket square or it can be used as “throw down/tap up nets” in the outfield, which can also be used as a “stop net for fielding and bowling drills. 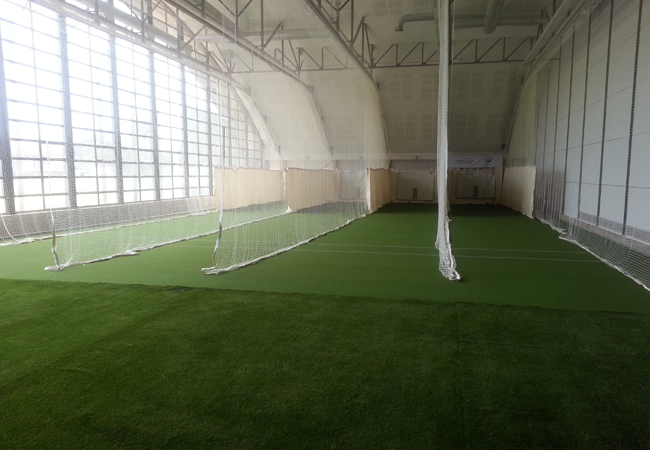 These mobile cricket nets are meant for light to medium use and are used from personal use to the First Class arena. Throw down/Boundary nets pre match are both time and labour challenging. We have a quality sturdy aesthetically pleasing winching system that would be erected/dismantled in minutes. Also the system must be safe to the players – sometimes these guy rope systems get blown over by the wind and players trip up! The system works by having fixed in-ground sockets which are safely capped (each cap having a covering of artificial grass). Our cables are 26m long – so your system could be full length at 24m x 2.44m (8ft) high or as short as you require. WCCC have inserted 4 x sets of sockets on their ground (North; south; east and west) and they rotate the practice areas so the grass areas are given chance to recover.